These highly successful bespoke CPPD classes are currently being run for ASOS, the Arcadia Group, Fat Face, Marks & Spencer and New Look. CPPD is an on-going and continual process of both personal and professional growth that improves the capability of an individual to realise their full potential. 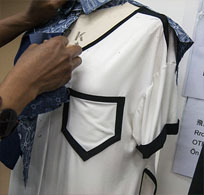 Fashion Enter delivers CPPD training for industry professionals seeking deep rich learning in a live factory environment to ensure full understanding of the complete garment life cycle is achieved. Workshops include Garment Technology, Buying and Merchandising as well as bespoke tailor made courses to suit your company's specific needs. As Fashion Enter is a totally ethically and sustainable run factory which is both SMETA and Fast Forward approved the aim of these short courses is to pass on how factories undertake malpractices and for buyers, merchandisers and garment technologists to be empowered with information ready to spot factories operating incorrectly. This is a must attend workshop. The courses can be either 2, 3 or 4 hours long and prices are dependent on the amount of personnel involved in the workshops. Please call us for an initial consultation and then we recommend that you come and visit us, review our working environment, read our feedback forms and then select your CPPD workshop. The quality of the training provision at the FTA has been so highly regarded by the awarding body ABC Awards that the FTA can offer accredited CPPD training. Continual professional and personal training allows the learner to receive a recognised certificate from ABC Awards. There is an additional charge for these certificates under the ABC Awards Quality License Scheme. It was very informative and very well organised. There isn’t anything I could fault on my trip. I have gained a real understanding of how large scale production works and how a factory operates. Very useful information to take forward in my buying career. I have gained lots of practical information on manufacturing and the factory environment which I can now take into my role in Design. Jenny is a wealth of knowledge and information and it was fascinating to soak that up. I feel more prepared now to go into production and I know what to look for. I have learnt what you can do is whatever you decide to do in life! The training available looks fantastic. The opportunities are amazing. This course was inspirational. I learnt so much. Best course ever! I have learnt about operations, lay planning and how changes have an effect on planning… This visit was truly eye opening. I have learnt efficiently and the thought process that goes into production and also the importance of pattern cutting and communication… I have very much enjoyed my time here. Today I have learnt how a factory runs, the logical process and ICPIS, key audit knowledge, how to spot positive and negatives in the environment, how to use an industrial machine and also how patterns are laid. I thoroughly enjoyed the course and found it really useful, engaging and completely relevant to my role. I would 100% recommend to a colleague. Course location: The Factory, Unit 14, Crusader Estate, 167 Hermitage Road, N4 1LZ. This insightful half day workshop provides an opportunity to review first-hand the manufacturing process in a UK factory based in North London. Starting with the Garment Life Cycle the workshop examines the impact quality issues have on pre-production and production in a factory and how this effects lead times. 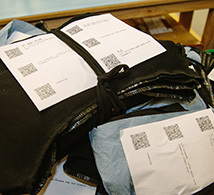 How does a factory operate from fabric delivery to final garment delivery? What is puckering and can it be ironed out? How are AQLs conducted in a Factory Environment? This insightful half day workshop will provide you with the opportunity to see the garment life cycle in a SMETA approved factory. Discover the effect quality assurance can have on the critical path and how quality assurance can impact on lead times. What affects margin for a retailer - why do factories put up their prices? Why do PO’s have a specific number per size yet factories over or under deliver? Why are deliveries late and when is it a manufacturing fault to legitimately pass on late payment fines? 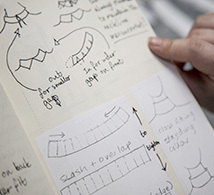 This insightful half day workshop will provide you with the opportunity to see first-hand the design life cycle. What makes a SMETA approved factory. Understand the effect quality assurance can have on the critical path; understand how factories use standard minutes. What is an open costing? How do factories use standard minutes? The aim of this insightful workshop is to achieve optimum fit, style and quality of manufacture in the most time effective process. To provide evaluative learning on patterns, fit and sealing process and to improve the effective communication process between buying teams and garment technology having due regard for pattern cutting parameters. Why is garment lifting at front waist of hem? Why garment is pull at armhole dart formation at armhole? Why is there dragging at bust point? Compare the different fabric dresses – How does fabrication affect fit?